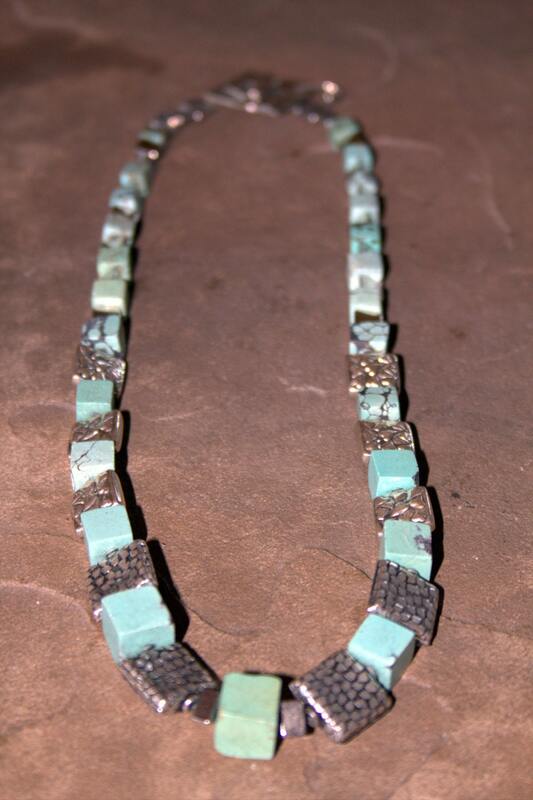 This necklace is made from Nacozari turquoise cubes from the Sonoran Desert. They are graded in size and are stabilized for strength but are not overly polished giving them an organinc raw look. The cubes have vein colors varying from black to burnt umber. 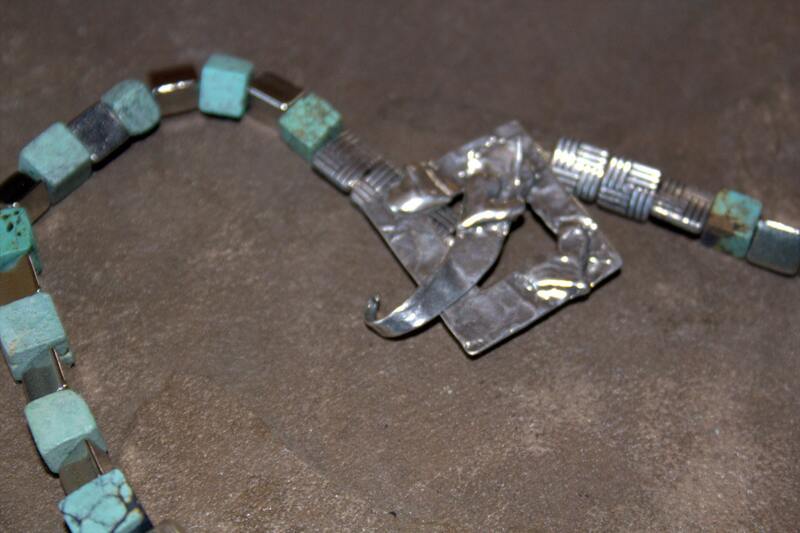 The turquoise is spaced along the neckline with Bali silver hammered, textured square beads. The upper neckline is spaced with triangular sterling silver beads and is topped with smaller square knot silver beads so the necklace is comfortable on the neck. The toggle clasp is hand made out of sterling silver and has three hearts on the outside edge. the necklace is 22 inches long. It is elegant or classy with jeans. Gorgeous--the beads have interesting details that aren't fully captured in the photos. Well designed to flatter the neck.